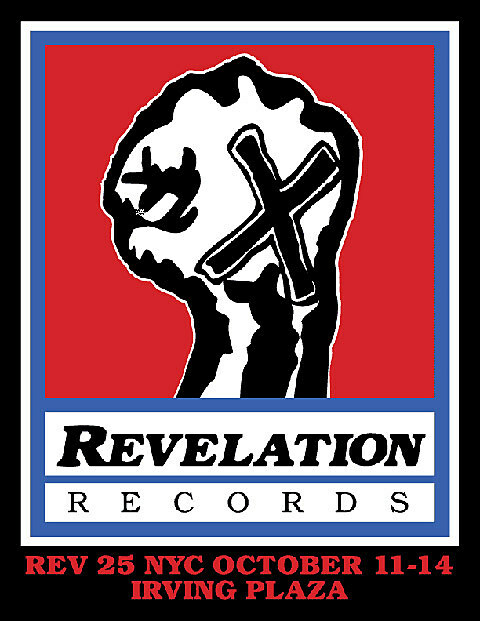 The East Coast version of the Revelation Records 25 lineup officially exploded with the announcement of 8 new bands (!) 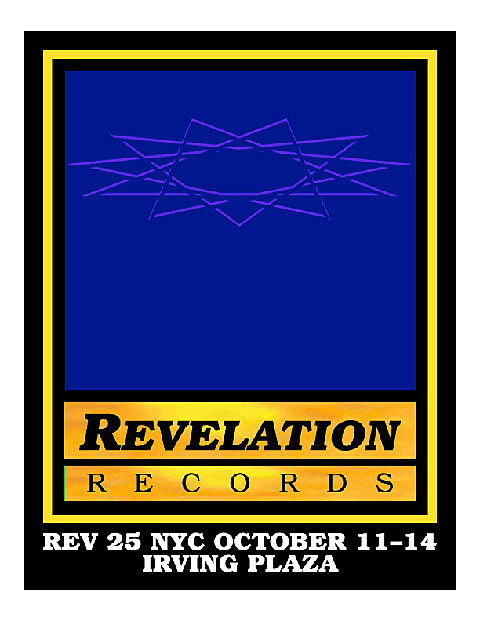 to their lineup which happens October 11 – 14 at Irving Plaza in NYC. 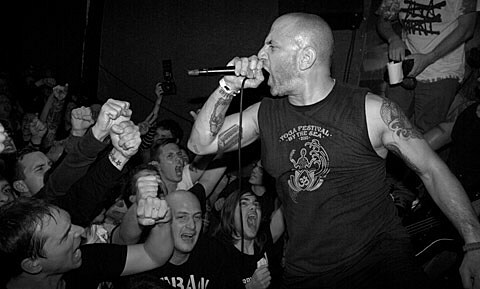 Joining the previously discussed Chain of Strength, Into Another, Bold and Texas is The Reason will be appearances from Youth of Today, Supertouch, Underdog, Iceburn, Battery, Shai Hulud, Gameface, and Mouthpiece. 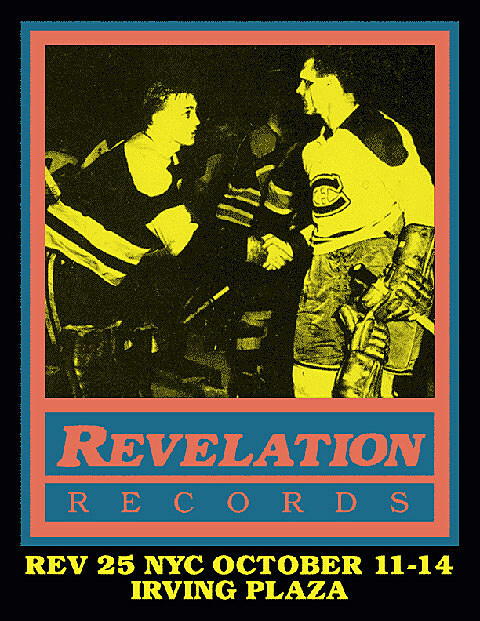 No word on who else will be in the lineup, or when we can expect tickets to surface but we’ll keep you informed. 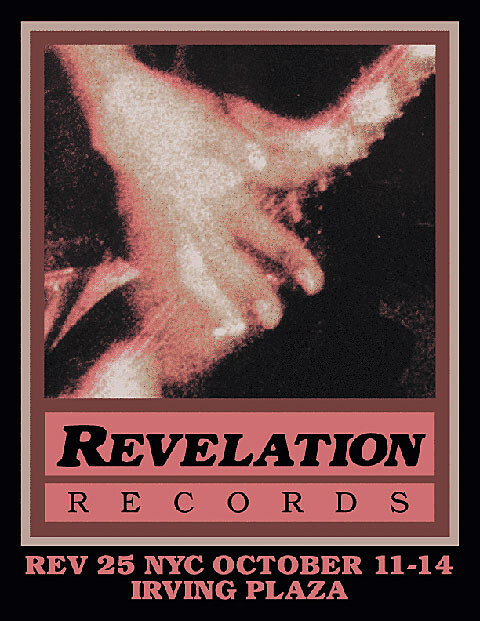 As discussed Quicksand is not in the lineup so far. 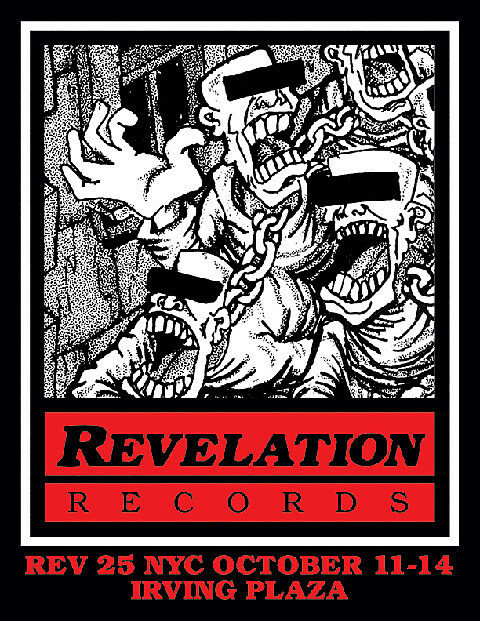 But they also aren’t in the House of Vans lineup either. 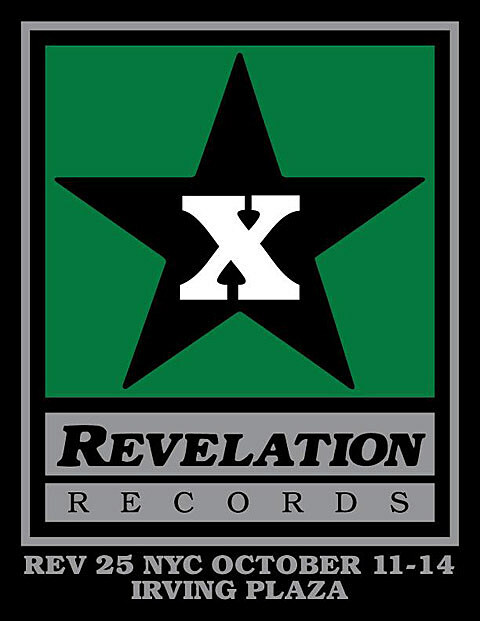 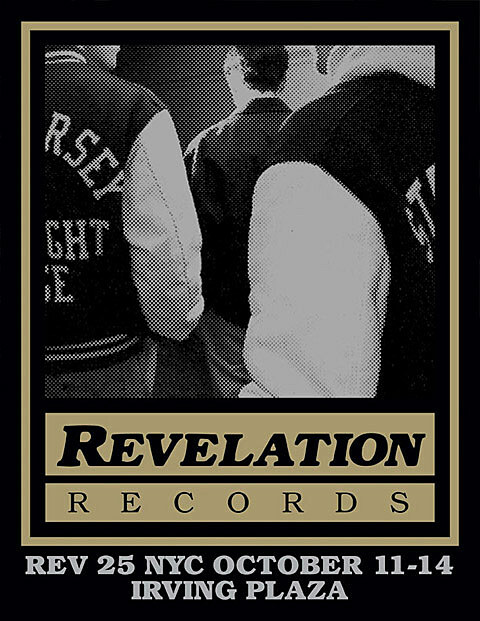 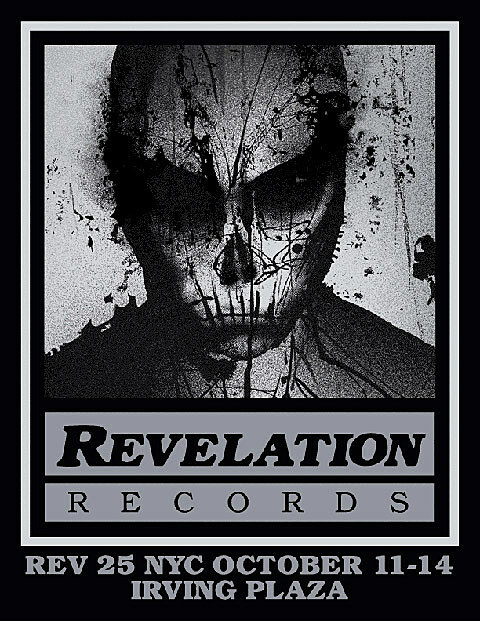 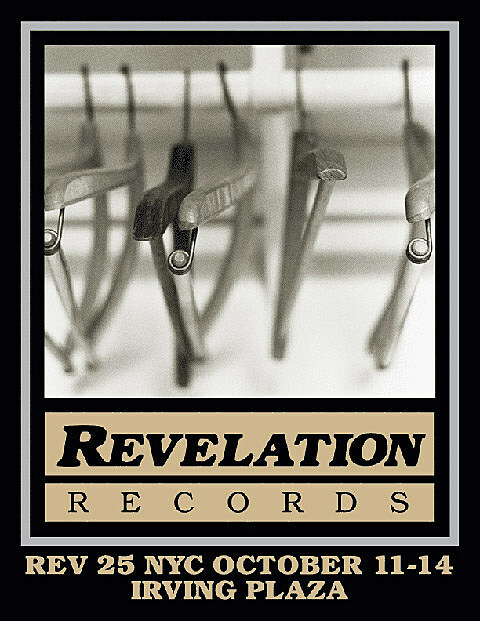 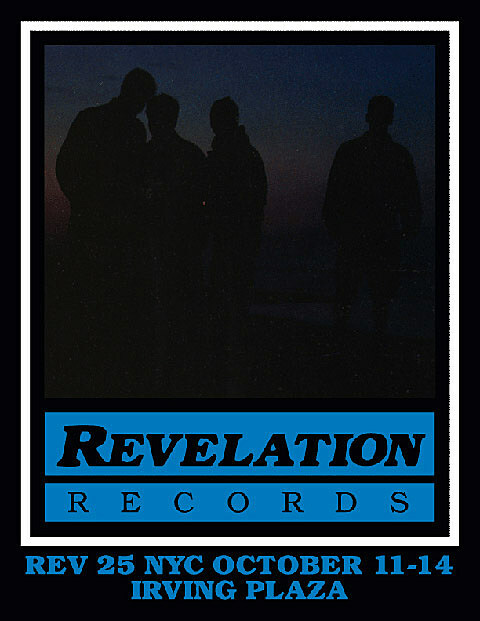 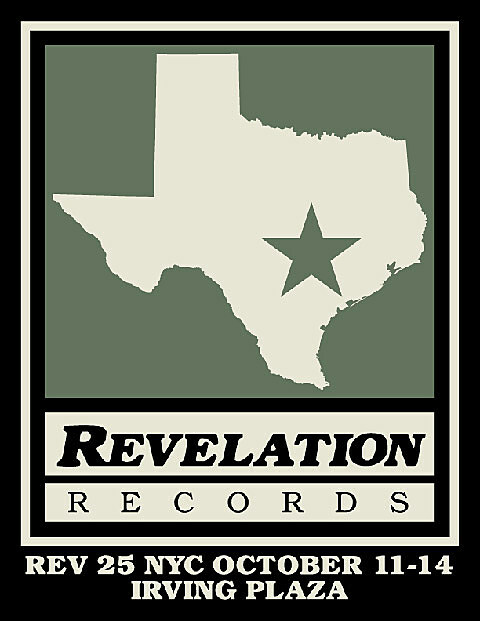 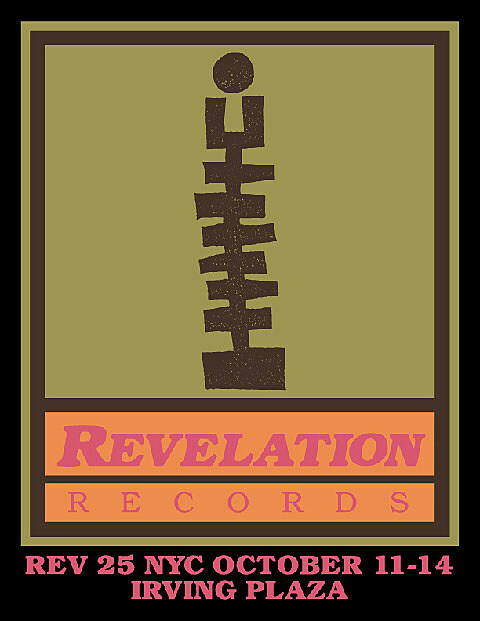 Flyers for Revelation Records 25 are below.